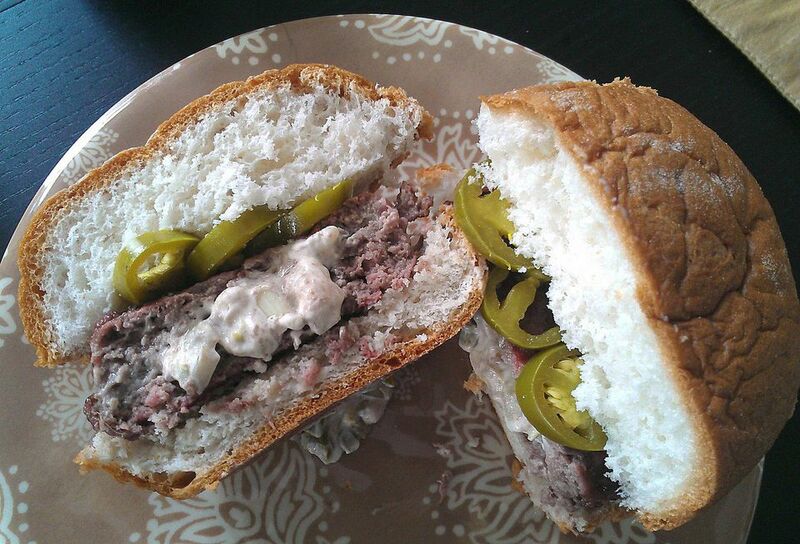 Cheese and Jalapeno Stuffed Burgers. Regarding BBQ, Inc. This cheese and pepper filled burger is delicious either plain or on a bun. Use your favorite condiments to dress it up to your liking. Combine ground beef, onion, Greek seasoning, salt, and pepper in a medium mixing bowl. Form mixture into 8 thin patties. In a separate bowl, mix together jalapeno pepper and cream cheese. Spoon cheese mixture onto 4 of the patties. Take the remaining patties and place them on top. Seal edges and press to an even thickness about 1 1/2 inch. Cover and place in refrigerator for 20 minutes. Place burger patties on grill and cook over medium heat for 15 minutes. Turn once. Once burgers reach and internal temperature of 165 degrees they are done. Remove from heat and serve on buns with your favorite condiments.